You will set off early (about 6.30am) for a morning game drive, an awesome experience to spot the animals in natural habitats. 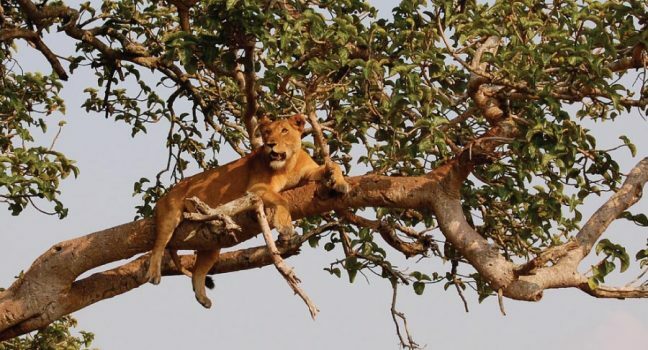 Expect to see the famous Big Five; Elephant, Buffaloes, Lions, Bush bucks, Kobs, Giant forest hog, Hyenas leopards, antelopes, and Waterbucks as well as birds. You will return for breakfast / early lunch and start the return journey to Kampala.